Millions of people suffer from autoimmunity whether they know it or not. The root cause of most weight gain, brain and mood problems, and fatigue, autoimmunity can take years for symptoms and a clear diagnosis to arise. 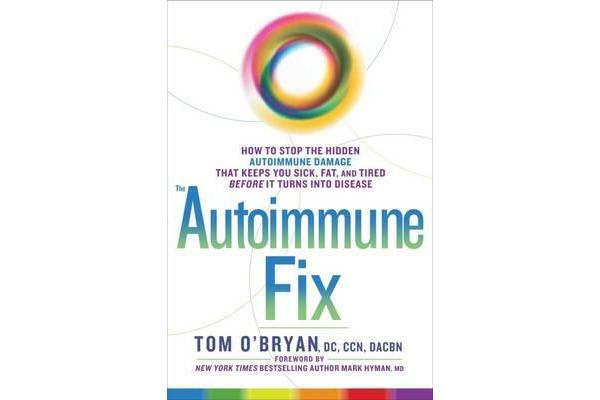 Through years of research, Dr. Tom O’Bryan has discovered that autoimmunity is actually a spectrum, and many people experiencing general malaise are already on it. And while autoimmune diseases like Alzheimer’s, multiple sclerosis, osteoporosis, diabetes, and lupus have become the third leading cause of death behind heart disease and cancer, many people affected are left in the dark. The good news is that many autoimmune conditions can be reversed. Optimum Healing includes two comprehensive 3-week plans: In the first 3 weeks, readers will follow a Paleo-inspired diet during which they cut out gluten, sweets, and dairy – the three primary culprits behind autoimmunity. Once the dietary changes have been addressed, Optimum Healing focuses on the other causes of autoimmunity, such as genetics, other dietary issues, and microbiome. Optimum Healing provides a practical guide to navigating these increasingly common conditions to help readers feel better and develop a plan that will work for them.